The folks behind the robotic Pleo dinosaur are on the brink of completely revolutionizing the way we all sleep at night. When it's available sometime later this year for $350 to $400, the intelliPillow will automatically adjust and change its shape whenever you roll over, saving you from having to wake up and fluff your pillow yourself. 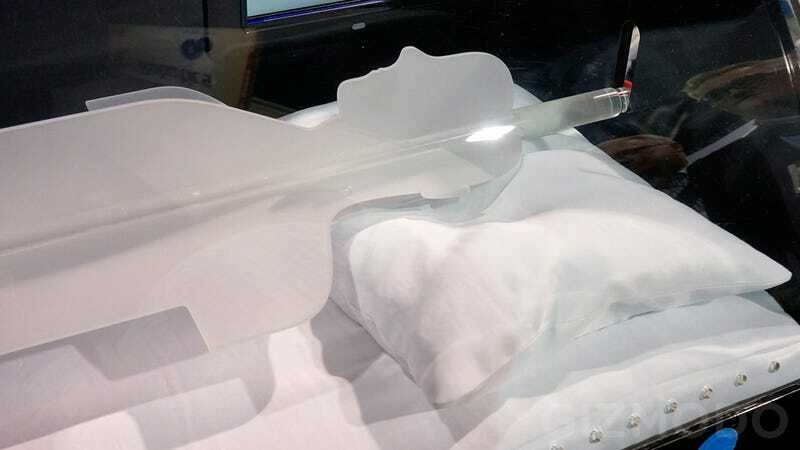 Inside the pillow is a series of inflatable chambers that are connected to what is promised to be a whisper quiet compressor sitting under your bed. A mat placed on top of the mattress detects when a sleeper has shifted from lying on their backs to lying on their sides, letting the pump and pillow know when to automatically inflate or deflate the air bladders to a pre-determined shape. It it catches on like we're sure it will, it could leave millions of feathered geese breathing a big sigh of relief.